Log Cabin Quilt by Betty Butler This year’s quilt was fashioned by Betty Butler of Indianola. 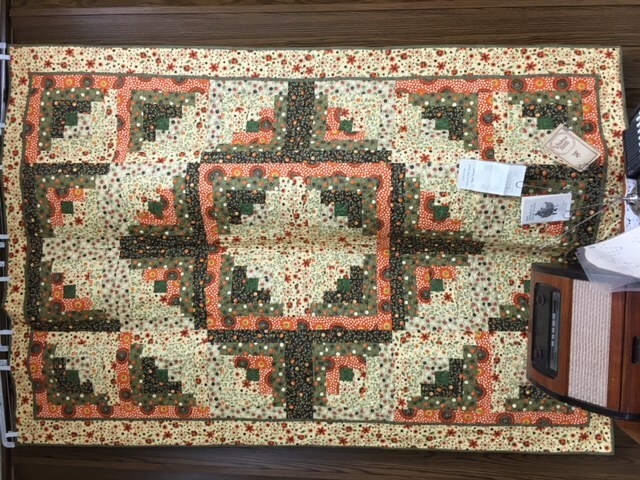 The quilt is 90” x 65” and a log cabin pattern in brown, yellow, and orange. The quilt is being displayed in the museum. Stop by Thursdays 9-4 or Saturdays 9-Noon to take a look and purchase tickets.